Central Bank of Kenya Governor Dr Patrick Njoroge is acclaimed for many things. He got his Ph.D from one of the leading Ivy League schools in America, Yale University. He was a senior economist with the International Monetary Fund (IMF) for 20 years before coming back home to Kenya to take up the top job of overseeing all the country’s economic affairs, and ideally cleaning them up to be corruption-free. He’s also known for choosing not to live the so-called ‘high life’ by not moving into the CBK Governor’s mansion, not acquiring properties, fleets of cars and other conspicuous consumer items, status symbols and other materialistic paraphernalia. Dr. Njoroge is a remarkable man for all of these reasons. But one thing about him that isn’t widely known is that he appreciates contemporary Kenyan art and artists. 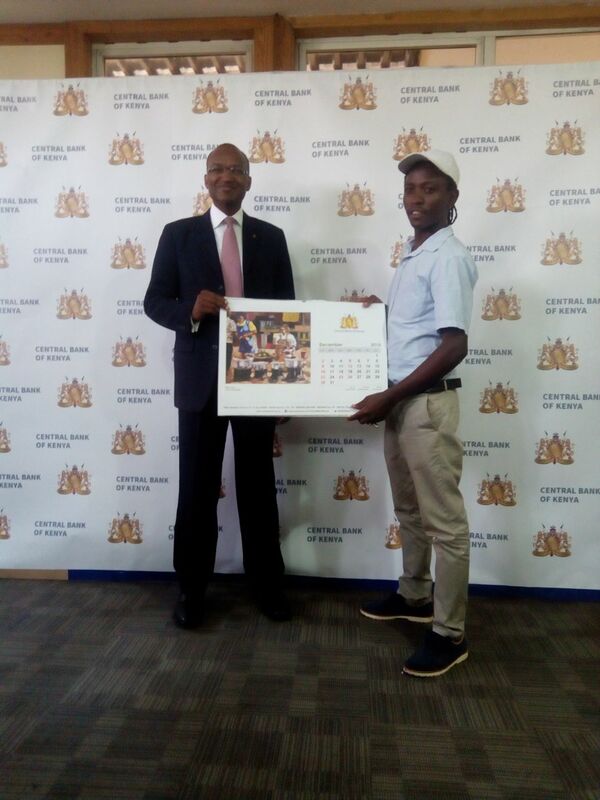 The calendar itself celebrates 12 artists who were specially selected by a team that reached out to various art centres in Nairobi. Among them were The GoDown, Karen Village and Dust Depo. Then there were a few artists who simply received an invitation to submit their artwork for consideration. That was the case with Eddie Ochieng whose art became part of a pool of works that was then vetted by the CBK board. After that, the final approval came from Dr. Njoroge himself. 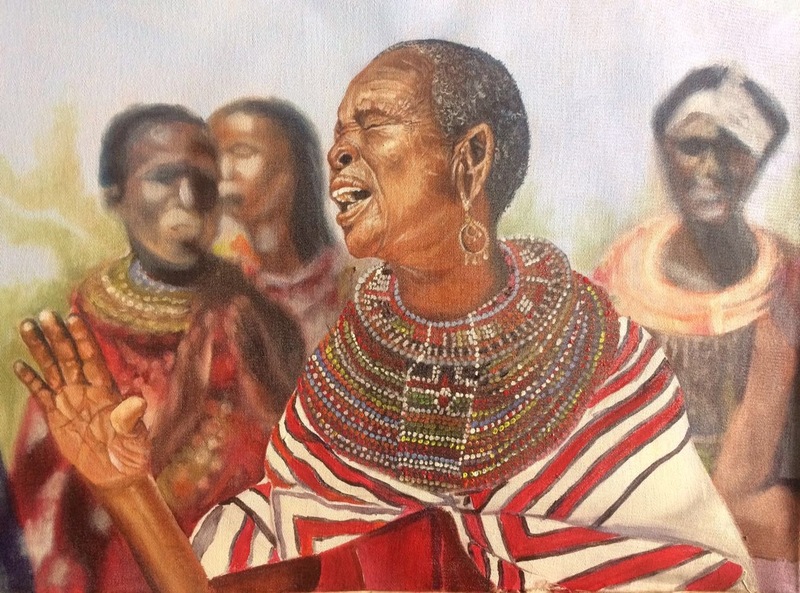 All the twelve artworks still belong to the artists, according to Mike Kyalo whose painting of githere-making mamas features for the month of December. A detail of it is also one of the twelve jigsaw painting pieces that appears on the front cover of the calendar. It may have been by accident but six of the twelve paintings portray sweet children at play. Starting in January with Alex Mbevo’s Boy on a bicycle, Andrew Otieno for March painted a little boy strumming a child-sized guitar. Then, in May Hannington Gwanzu used acrylics to create a scene with seven barefoot boys playing ball and other things. They’re right on the edge of a muddy field but they don’t seem to mind. Having rolled up their pants, they are obviously having fun. Then in August, one will find Wilson Matunda’s babies on tricycles. One can’t tell their gender as they’re only wearing what looks like diapers. But one suspects they’re meant to be little boys. Two more little guys, by Michael Nyerere, are featured in September, only one has a bike while the other is walking behind. And finally, November has a sweet by sad-faced little boy painted by Harrison Ndungu who decks the boy out in two handsome necklaces. The fact that none of the six paintings of kids includes young girls is conspicuous. 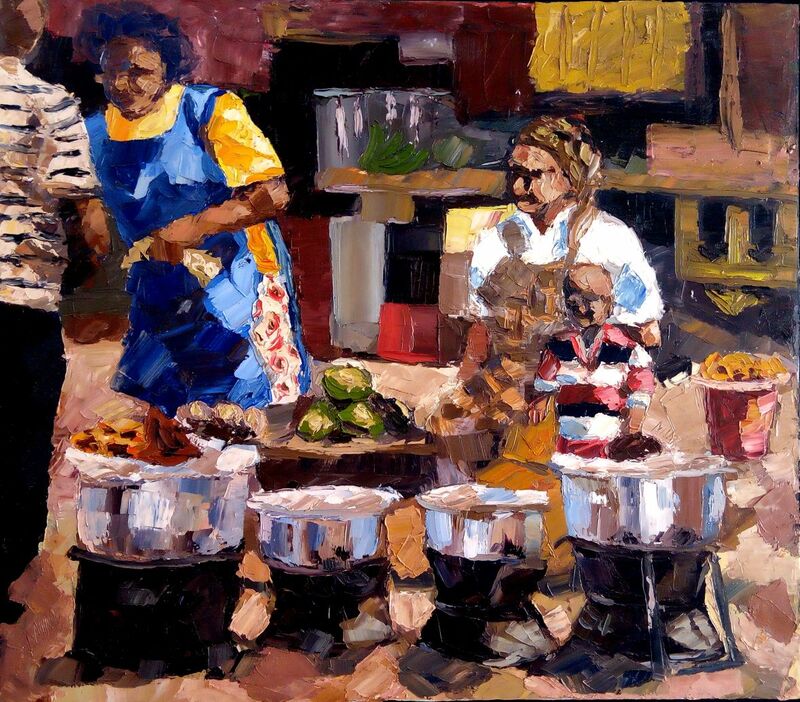 But the apparent gender imbalance is slightly rectified with paintings of working women and one young girl (in October) painted by Eric Ombija and sporting her cell phone. Then in February, Evans Yegon painted women weaving and carrying beautiful baskets. By June one will see Eddy Ochieng’s bejeweled Maasai (or possibly Samburu) women, at least one of whom is singing, but all are looking elegant. And in December, Mike Kyalo is there with the mamas venders seated behind giant sufurias and serving food. All told, CBK and the Governor deserve accolades for giving young Kenyan artists this chance to showcase their work under the umbrella of our number one bank. What makes the effort even more laudable is the way phone numbers are included with the paintings and artists’ names. That way, anyone who takes an interest in an artist and his work can easily get hold of him. My hope is that in future, CBK will continue this practice of paying attention to the creative capabilities of Kenyan artists. But I would only hope that women artists are also given a chance to be part of future calendars.